I.Fairy Lenses are no doubt loved by many and it is a brand that is hyped world wide because of its comfort, variety of colors and design circle lenses it offers. No matter it is for everyday use , for special event or cosplay it is well suited for everyone. 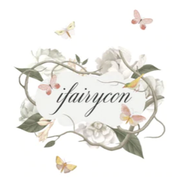 I.Fairy circle lenses are made by one of the more fantasy orientated designs you will find here at Ifairycon. Specializing in gorgeous, clear as crystal pastel colors, the noticeable swirl design of the Hanabi style, Dolly style and elegant unique lacy patterned lenses to melt your heart, you will be a shining star; a true dolly princess in the making! You won't be able to resist the prettiest range we've had to date. These are highly rated by our customers as one of the most comfortable colored contacts, offering longer wearing power.